*Police say 21-year-old William Williams and 20-year-old Richard Cromwell, both from New York City, were arrested Wednesday on charges of murder, robbery and criminal possession of a weapon in the Sunday, April 2nd shooting death of DJ Megatron (pictured). According to authorities, the 32-year-old disc jockey – real name: Corey McGriff – was shot once in the chest while walking near his home on New York’s Staten Island last month. Some reports say he was on his way to a store, while others say he was on a marijuana run. 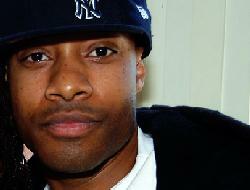 DJ Megatron worked on BET’s “106 & Park” show and also for BET’s website.